We are specialized in the supply and execution of Intelligent Pigging/Caliper Survey of oil and gas Pipelines; Hot-Tapping, Stopple Plugging and Emergency Leak Repair Clamps for oil and gas facilities. We provide Cathodic Protection for buried steel structures, tanks and pipes. Our Company also design and install Lightning Protection Systems for industrial complexes, gas stations, power plants, high rise buildings. We supply and install Industrial UPS systems process plants and stations. 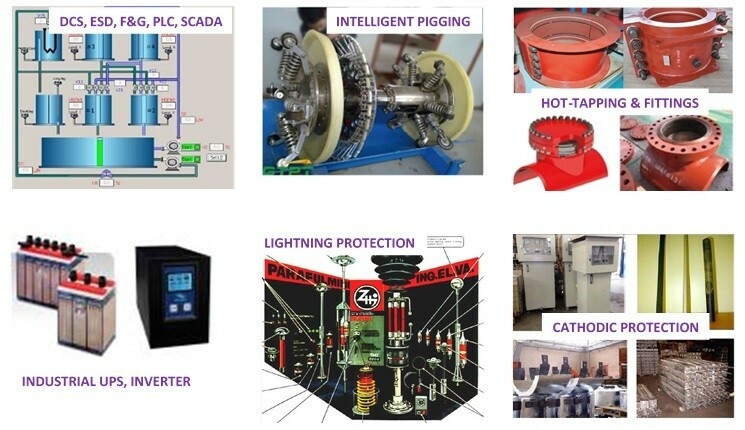 For your automation system design (DCS, PLC, F&G, SCADA, ICSS, MCC/FAR) please ask for a proposal and you will be glad you did. In all our services, we maintain high professional performances.